Like many kids back in 1991, I was fascinated by Sonic the Hedgehog. Being already a SEGA fanboy some years before, since my first console ever was a Sega Genesis (the one with the Altered Beast bundle). The game’s visual appeal and amazing game mechanics made a huge impression on me and became what I really wanted a game to be: fast, astonishing in artwork, simple to play, fun as can be and catchy songs throughout. During this time, the ’90s were dominated by the video game console wars, and Sonic started that fight (sorry PC Denjin Punkic Cyborg aka Air Zonk, you will be always rad and in my heart but never as cool as Sonic). He was the cool character everybody in school worshiped, while nobody was defending Mario. All the kids were saying “Mario World is fun, but Mario looks lame. 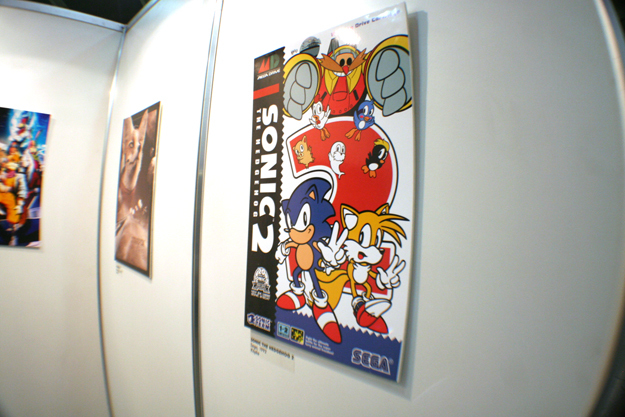 Sonic is the cool one.” That was a hard thing to accomplish in Mexico, since SEGA never had a proper distribution channel here, but kids were still getting the game. 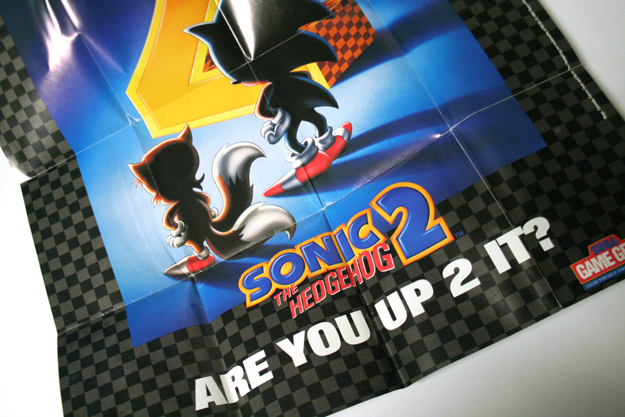 Sonic 2 was even bigger because he was already popular and kids couldn’t wait to get their hands on the sequel. As I became a huge fan of the blue hedgehog, I tried to get as much merch as possible. I remember buying game magazines to get the articles and features on Sonic. Of course, I started drawing him a lot. Drawing was a thing I’ve been doing since I was very little, so I memorized every pattern to make the most accurate version I could trace. I didn’t know it then, but the version I was reproducing was Greg Martin’s. His art was the style kids in North America were exposed to and influenced by over all these decades. 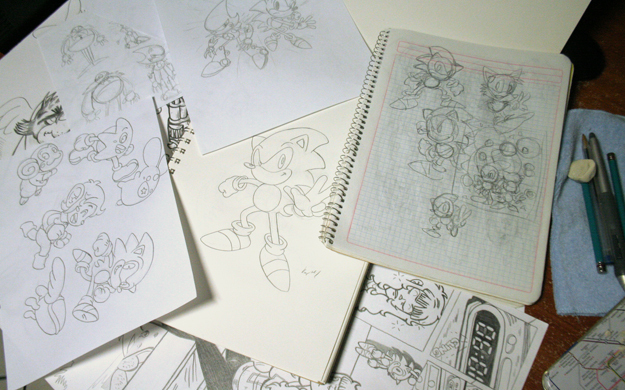 Once you start drawing sonic, you can’t stop. A big influence for me. It was clear, Sonic’s visual appeal was key in his popularity; he had quite an attitude and look. What I always found odd as a kid was the game had a total Japanese aspect, but the box art looked totally different in visual style. As an avid comic reader as well, I often found myself looking up the artists of my favorite comics, like how Romita was making art for Spiderman or Jim Lee and McFarlane’s work in the ’90s Marvel comics. I also did this with Sonic the Hedgehog. 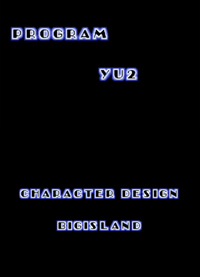 I knew from the credits that a certain “Bigisland” did the character design and “Yu2” programmed it. After some research in my GamePros, I learned those nicknames belonged to Naoto Ohshima and Yuji Naka, respectively. I learned who to admire for making my favorite video game, but the mystery of who created the American art counterpart remained. Unfortunately, I never knew it was Greg Martin responsible for it until I was much older. It’s sad that artists sometimes don’t get the proper credit or recognition they deserve. The game’s instruction manual made no mention of Martin’s contribution, so how could any of us know of his importance to Sonic the Hedgehog? Why wasn’t his name included somewhere? Why didn’t he get the proper spotlight? While it’s true Martin essentially reinterpreted Ohshima’s creation, I think he deserved proper credit too. To that end, there are key features that made Martin’s art quite unique. He made great use of volume while using color and shading. Another cool Martin trademark was his great use of backgrounds, he had this 90’s old school style to soften borders, exaggerating hands and leg poses traces (an illustrator resource expression or movement). Each one told you the character’s setting so effortlessly. It made for a great use as promotional artwork, since it told so much with very little space. He worked on so many IPs, he was good at selling you an idea just by looking at it! In all honesty, I prefer Ohshima’s version of Sonic better, but I still hold Martin’s work in a very high regard. 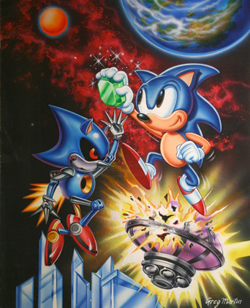 I love Martin’s Sonic, and his Sonic the Hedgehog 2 box art with Dr. Robotnik crushing the giant number was not only pure class, but also an iconic and historical piece, an image that will forever be stuck in my mind. I wanted to be as good as him when I was a kid, while growing up you realize that you have to develop your own style, but still you get influences, and indeed that cover is a big one for me. Thankfully, many artists today have a proper spotlight and get the credit they’re due. We know of Yuji Uekawa (modern Sonic, Ristar and some character design on Astal), Ryuta Ueda (Jet Set Radio and Demon Tribe), Makoto Tsuchibayashi (Shinobi on PlayStation 2), to name a few. It has been also that companies invest more on hiring stablished artists for their games too. Things have evolved for the better on that matter. But even though many of us may not have realized Greg Martin was responsible for so many iconic images from our childhood (including my TMNT VHS), we want to thank him for his lifetime of work. I will remember.